I can't recall the last time i saw one of those fireworks things. i know when i was a child we would play with them on independence day or any form of national holiday. I realize that the object took quite some time to be lit. Was that done on purpose? Then there was the way in which the matches were drop. Was that also done intentionally? Where you planning to light more of the mini fireworks? After all you were holding more than one in your hand. Last but not least....what does the title "IG-NIGHT" refer too? No, I didn't purposefully take long to light the sparkler. That's how it happened - and I was just recording what happened. 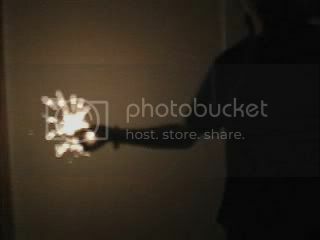 The matches were dropped because I was holding many things in my hands (other sparklers). IG-NIGHT is just another way of spelling IGNITE, only playing on the word NIGHT since it all happened at night.